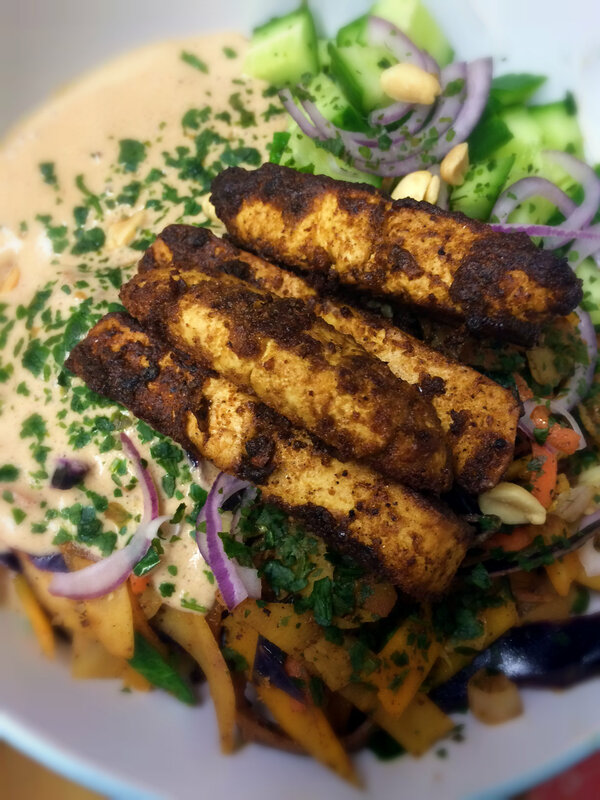 Crispy Tofu on Buckwheat Noodles with Spicy Almond Sauce from Crave, Eat, Heal! Tofu and I didn’t get off to a great start. I recall the first time I tried it, I must have been 15 or 16 and was volunteering in the fundraising department of a street child charity. We had gone to a local Chinese restaurant for lunch to celebrate raising our first £million. The vegetarian option was tofu in a sauce with steamed rice. I did not like it – it was slippery, rubbery and tasteless. Despite entering vegetarianism 10 years prior, I had never tried it before this and I don’t remember eating it again for years after that. Probably only when I became vegan did I give it more tries and still it took a few trials before I learned to prepare and cook it properly. Now? I love the stuff! The trouble is, here in the UK, there isn’t an abundance of tofu widely available like in other places such as the US. In even the largest supermarkets, there are just 2 choices – Mori-Nu Silken Tofu or refrigerated ‘fresh’ tofu by Cauldron which is the firmest of the two yet is not very firm at all, and it certainly doesn’t remain in nice cubes or strips in a sauce or stir fry but it can do the job in a pinch and with a decent press. In more specialist health food shops and online stores there is more variety and firm styles but none as firm as the firm or extra firm kind I fell in love with in the US. For a while I had been thinking about making my own and had a little browse online, every recipe I came across for pages called for beginning with dried soy beans and making a slurry, cooking, straining and then curdling and pressing in a special wooden tofu mold. It just seemed like hard work and I didn’t want to pay out for a mold. So when I came across these instructions for making tofu from ready prepared soya milk, I was excited although it didn’t give any real measurements. So I played around and found the perfect quantities for a proper extra firm tofu that is so delicious even just plain and that will make the tofu haters think again. Plus I simplified the method. 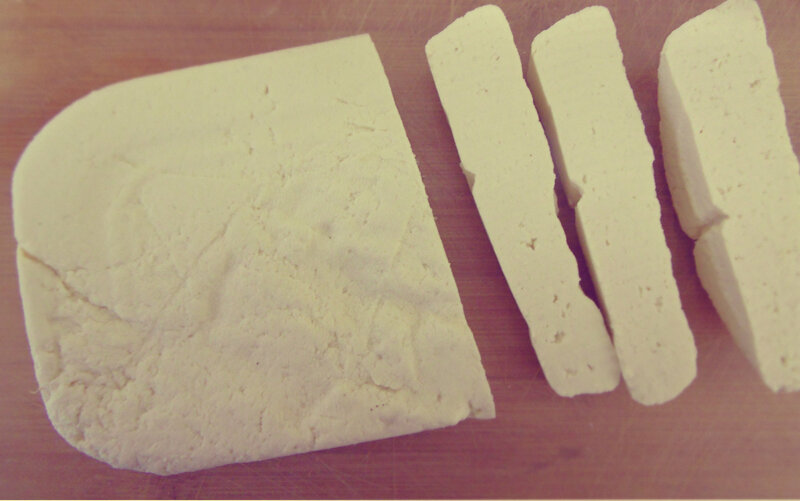 I also made the most simple homemade press/mold making this the cheapest and easiest method to prepare tofu I have ever seen! 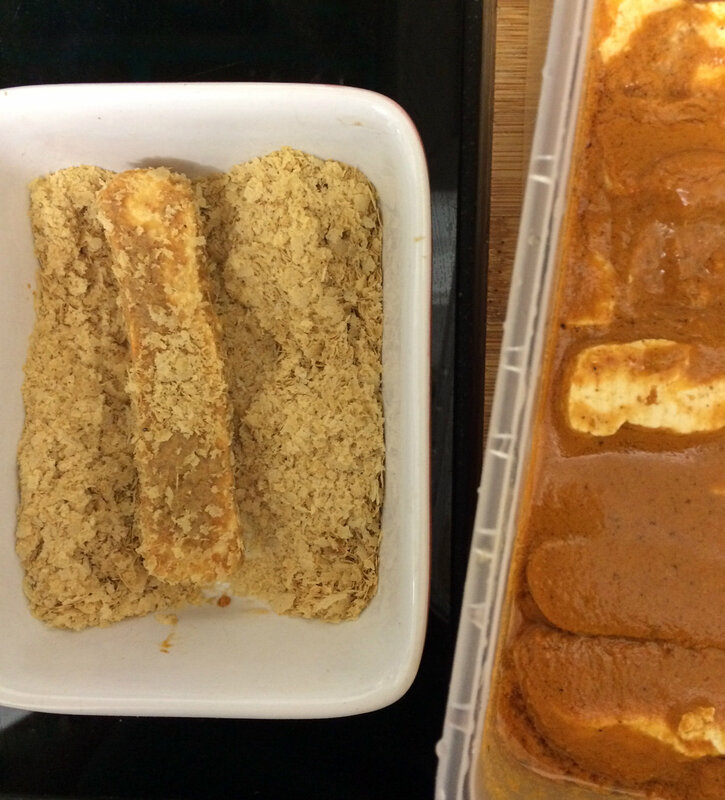 There are various different coagulants that can be used to make tofu but I prefer Gypsum for it’s lack of bitterness, the high amounts of calcium it deposits in tofu and the tender yet firm result it gives. You can find out about different coagulants here. 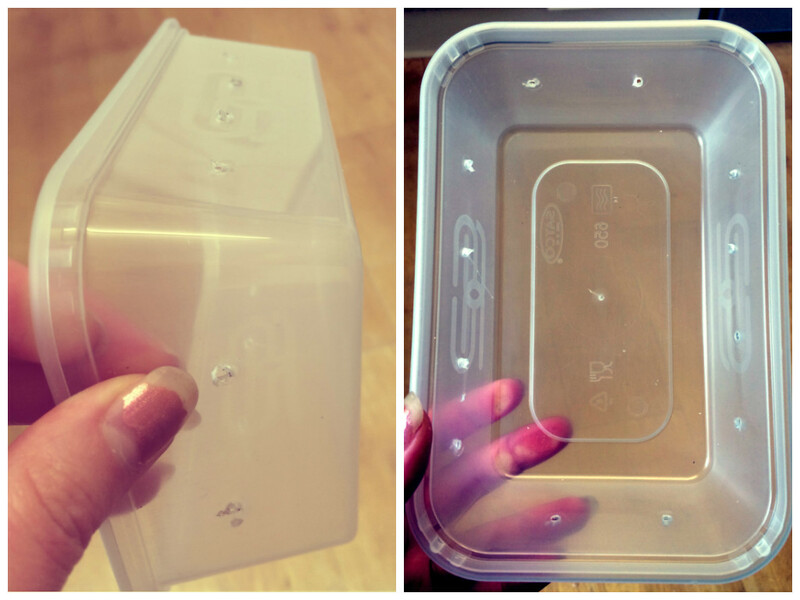 Simply take a small container preferably with a lid like a tupperware or aluminium food container with a card top. 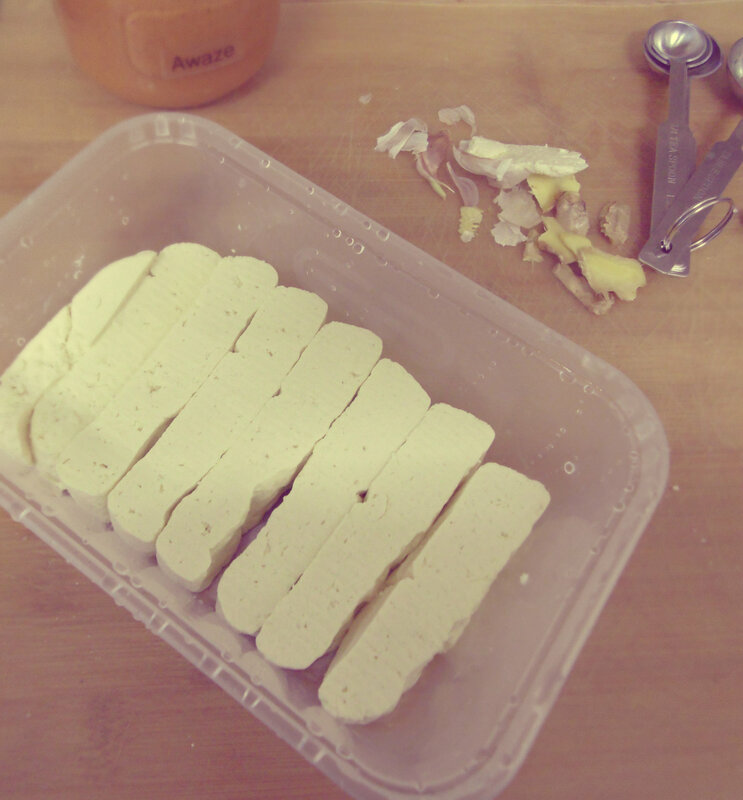 Drill holes around the sides above the base to allow the tofu to drain. If you don’t have a drill, you could use a corkscrew. Then take the lid and cut it to size so that it snugly fits inside of the container so that it would press against the contents. 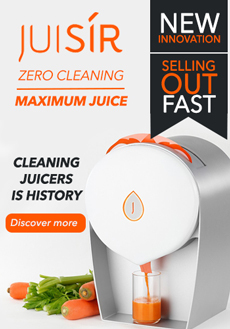 Cheesecloth, ‘J’ cloths or strong, absorbent paper towels. Add the soya milk to a large pan and simmer for 5 minutes. Remove from the heat and allow to cool to about 80’C/180’F. Mix the gypsum with the warm water and stir to dissolve then stir the mixture into the soya milk. Place a lid on the pan and leave for a few minutes. 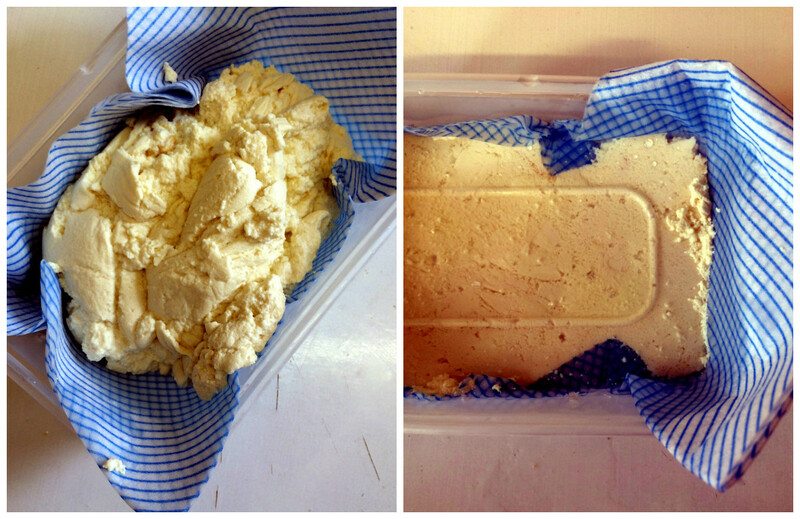 Once all the soya milk is separating into small curds and whey, transfer the mixture into a sieve lined with cheesecloth to allow as much of the liquid to drain off before transferring inside the cheesecloth to the mold. 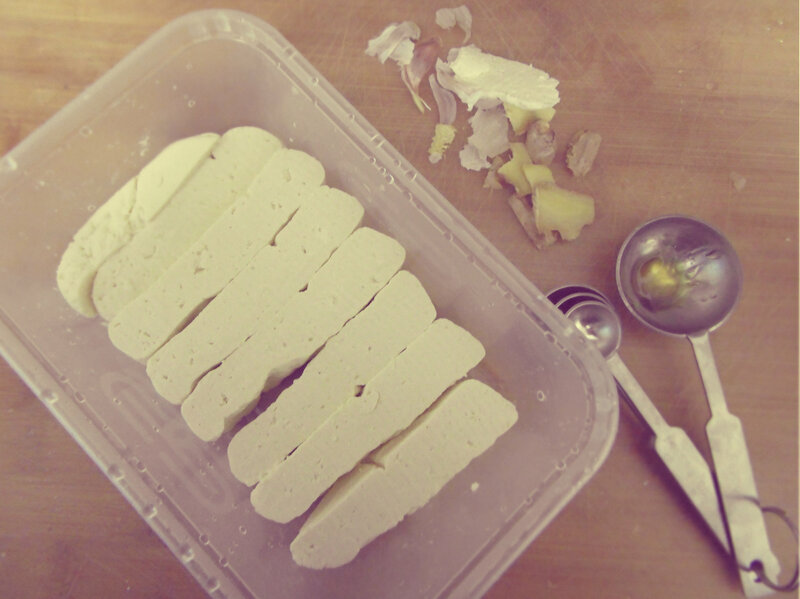 Place the lid on the mold so that it presses on the tofu. Add weight to it like cans and leave to sit for 20 minutes to overnight for varying firmness. Drain away the liquid, rinse and use straight away or store in fresh water, changed daily. 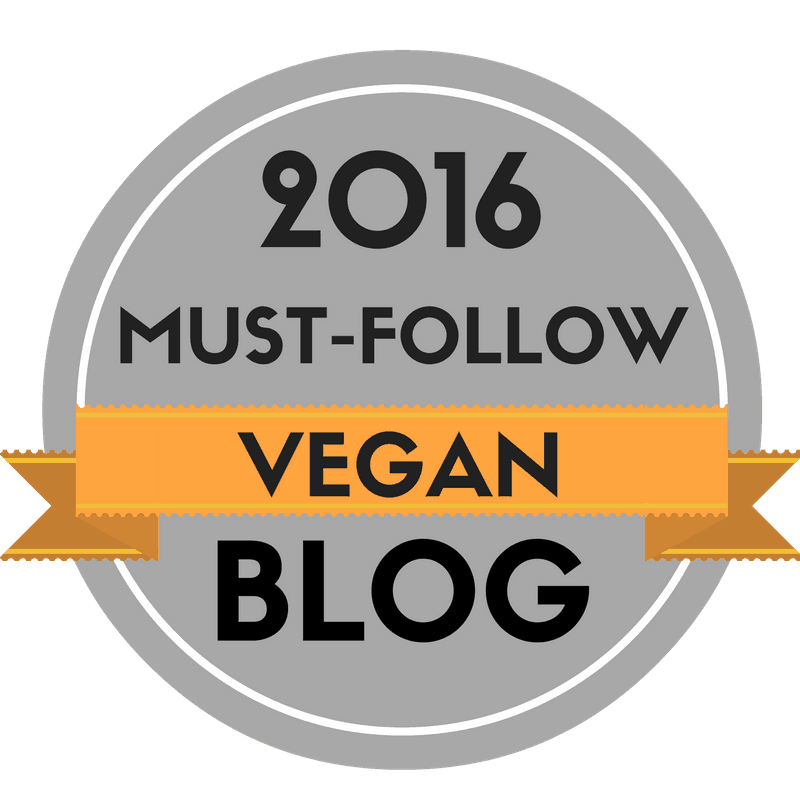 This entry was posted in vegan and tagged crafts, dairy free, DIY, egg-free, food, gluten free, health, healthy, recipes, tofu, vegan, vegetarian. Bookmark the permalink. 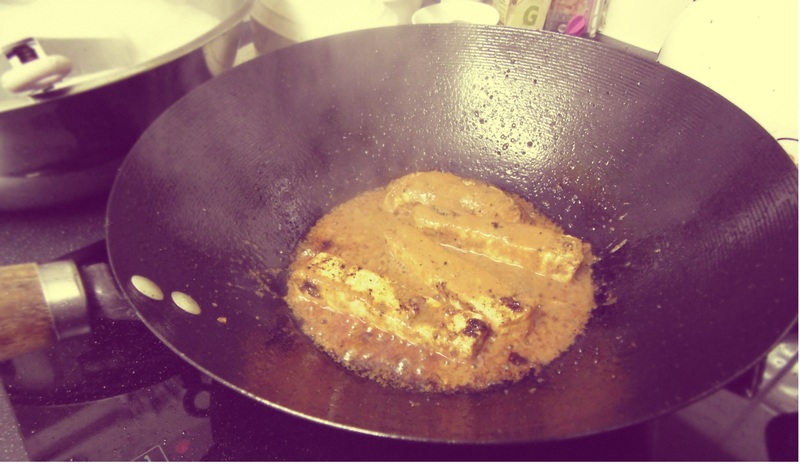 i think the first time most of us tried tofu it wasnt a success, but over the yearsI guess most of us learned to cook and love it! looks good your tofu! I think you are absolutely right – soya milk too! agree soja milk too – back in the day of course both were not cool and now they are sort of diet staples- we just had vietnamese rice paper rolls with tofu slices in them for dinner – very nice – served with 2 different dipping sauces – delicious in fact! Yes its noodles and veggies and herbs and a wonderful aromatic broth – it’s delicious! I love tofu…had some for lunch. 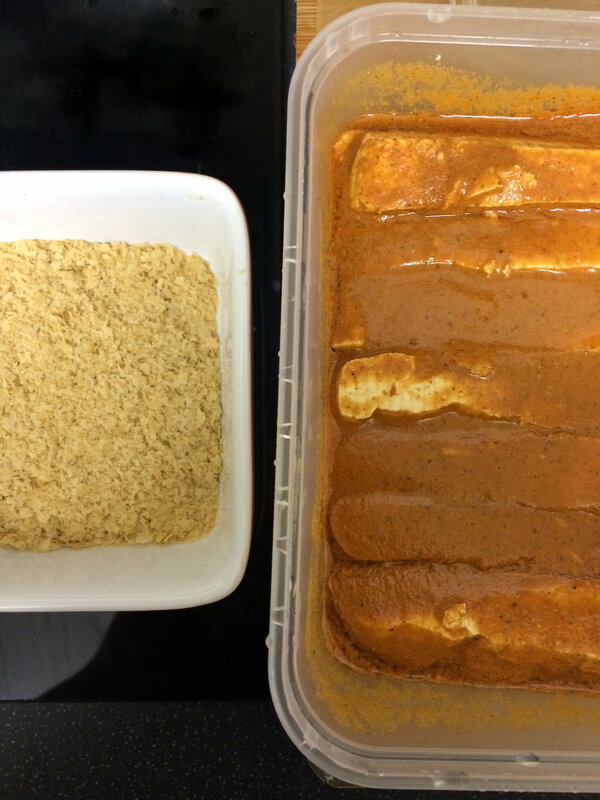 Wow making tofu from scratch – amazing! 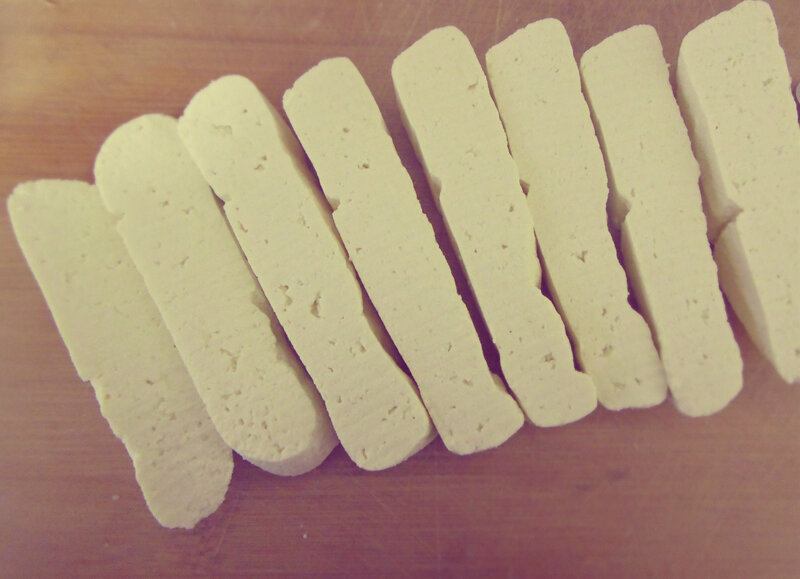 I love tofu and am having some for dinner tonight – and extra firm is my favorite kind! It does the job, who cares what it looks like?! Amazing, I really need to try making tofu from scratch because the price of tofu at my place is ridiculously high. This looks really good and easy! Yes same here, it’s expensive and once you taste it fresh you will know the difference! Oh my gosh!! I can’t wait to try this, Poppy!! I never would have thought to start with soy milk, but duh! Plus it appeals to my inner scientist :-). Yes me too, I love watching all the reactions, unfortunately it doesn’t fizzle and pop but it’s still cool! Hope you love it! Wow! What a fabulous post and I soooo wish I’d had that dinner. Those tofu strips look scrumptious! The awaze tofu is amazing!!!! Welcome. I’ve only made tofu once at home *not like your’s, just store bought, I fried it and it was delicious. I need to be more adventurous in my cooking like you. I’ll just settle for a salad so many nights cause it’s easy. There, about to post this reply and I hope your comment program doesn’t spank me for saying the same thing too much here ♥♥♥ Hope you’re feeling well sweets.